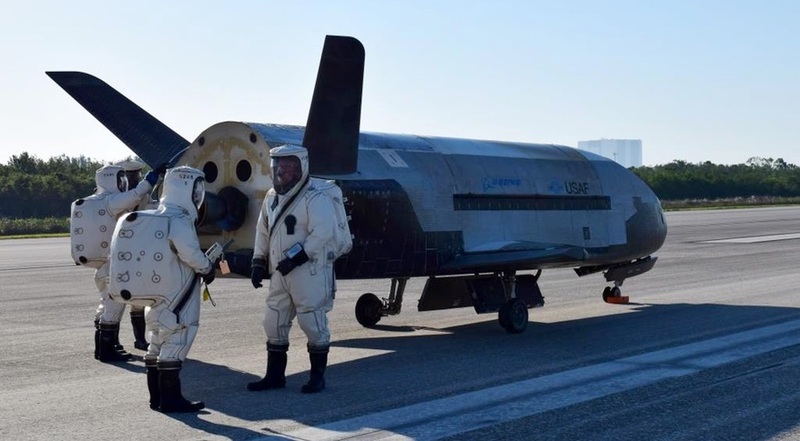 SAN ANTONIO, Texas — The Air Force is preparing to launch its secret X-37B spaceplane aboard a SpaceX Falcon 9 rocket later this year, the service said June 6. It will be the first time Elon Musk’s company will carry the X-37 into orbit, and is possibly the biggest national security launch SpaceX has been responsible for to date. The X-37 “will be going up again on top of a SpaceX launcher in August,” Secretary of the Air Force Heather Wilson said at a hearing of the Senate Armed Services Committee, showing members a small model of the spaceplane. This will be the fifth launch of the X-37 Orbital Test Vehicle. Wilson didn’t disclose why the Air Force selected SpaceX over United Launch Alliance, who launched the first four X-37B missions aboard Atlas 5 rockets. However, she emphasized in her testimony the growing capabilities of the commercial space industry in general. “There’s some very exciting things happening in commercial space that bring the opportunity for assured access to space at a very competitive price,” Wilson said. The X-37 vehicle returned from its fourth mission May 7, landing at the Kennedy Space Center after 718 days in orbit. There are actually two Boeing-built X-37 spacecraft. The Air Force has not indicated which X-37 craft will be launching aboard the SpaceX rocket. However, the fact that the service has been alternating missions between the two craft, and that the second X-37 was the one that landed in May, means that it’s likely the first X-37 is due up for the next mission. The X-37 is a secret Air Force program, with the first space plane launching on April 22, 2010 and spending roughly 224 days in orbit. The Air Force said that all together, the four missions have spent a total of 2,085 days in space. Reporter Jeff Foust contributed to this story.